You’re not sure if this is rock bottom or not, but what you do know is that you’re done. Done with hungover mornings. Done with spending too much time and money at the bar. Done with letting alcohol rule your life. You’re done with drinking and are going to stop today. Stopping drinking cold turkey is not always the best bet, and for some, it’s not only physically and mentally uncomfortable, it can be fatal. Detox is the natural process of cleansing the body of all drugs and alcohol by stopping their use. It’s the first step to getting sober, and begins when you make the conscious decision to stop drinking. Alcohol detox typically takes a week to 10 days to process through, with the first few days being the most severe and uncomfortable. If you think you may need detox for alcohol withdrawal, call 800-839-1686 for help. Alcohol withdrawal symptoms are difficult to manage alone and can even be deadly. If you’re addicted to alcohol, detoxing cold turkey at home can be dangerous. Your brain and body become physically dependent on alcohol and stopping it abruptly causes severe withdrawal symptoms. 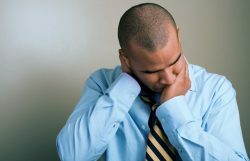 Although many of these can be managed at home, such as the headaches, nausea, and hand shakes, other withdrawal symptoms need to be medically supervised at a licensed detox center. These symptoms include delirium tremens—commonly referred to as the DTs—seizures, and hallucinations. In the initial phases of detox, which is the most dangerous, if left unmonitored, these symptoms can turn deadly. If saving your life isn’t reason enough, using a detox center makes alcohol withdrawal easier to manage. Because there’s medical staff on hand, your vitals are monitored to ensure you remain safe. Herbal teas are often given to help you remain hydrated, and supplements, including vitamin B1, folic acid, and iron, are available to help your body fight the withdrawal symptoms. When detox is sever, specific prescription medications can be given to help reduce symptoms. The most common is Librium, but sometimes naltrexone, one of the active ingredients in Suboxone, is also administered. When you’re an alcoholic, taking care of your body is not a priority, and therefore alcohol’s toll on the body is typically great. Alcohol, itself, has a huge impact including damage to the liver and kidneys, which work to eliminate alcohol from the body, but it also hurts the immune system, making it harder to fight off diseases and heal. Alcohol dampens the appetite, and it’s not uncommon for many alcoholics to drink their meals instead of eating them. This leads to malnutrition, a common condition seen in alcoholics. By going through alcohol withdrawal at a detox center instead of at home, progress can be made to ensure you don’t become more malnourished. Being at a detox center for alcohol withdrawal allows you to be ready to attend rehab as soon as you’re able. Many detox facilities are partnered with drug and alcohol treatment centers, and you can transfer from one program directly to the next. This gives you more of a chance of actually attending treatment, instead of being at home and allowing yourself to second guess the decision. Making the decision to stop drinking is the first step on the road to recovery. Instead of walking these first, hard steps alone, consider going to a detox center for alcohol withdrawal. It not only sets you up with support you’ll need afterwards, but allows for medical monitoring of your alcohol withdrawal symptoms, makes you more comfortable, and lowers the risk of a withdrawal-associated death. If you’re ready to stop drinking, call 800-839-1686 today to get help.